Home > Campaigns > Women’s Web Turns 2! Celebrating 2 years of running Women’s Web, the community for Indian women who like interesting reads relevant to real lives – plus, a giveaway! On 14th April 2010, Women’s Web got off to a very small start. A creaky sort of website was finally finished, a couple of articles were put up and word was sent out to friends and family – that we had launched! 2 years later, here we are, having published a total of over 400 articles and 250 blogposts, on topics as diverse as career growth, parenting, entrepreneurship, sexuality, empowerment, relationships, health, finances, safety, learning, volunteering, inspiring women and the stories of those working in the social sector. We still have a very long way to go. But we’re glad to have come so far. To celebrate these 2 years, we’d like to organize a small contest for our wonderfully supportive readers, but before we go to that, here is a small note about our most gracious contest partners, Cleosara who are doing a giveaway to celebrate with us on this occasion! Cleosara is an independent brand of urban, chic, sterling silver jewelry with natural gemstones. The designs are made for the contemporary woman who loves clean, simple lines and diverse range of jewelry to match her every day living. The brand promise is built around the concept “Be Interesting” and hence draws inspiration from the variety of roles and situations managed by the woman of today in a typical urban context. The designs include range of Earrings, Chains, Pendants and Rings. The design aesthetic of Cleosara is simple, uncomplicated lines highlighting the sparkle of sterling silver and the richness of the natural gemstones used in the jewelry. The natural gemstones used include Black Onyx, Flient, Mariam, Mojave, Sponge Coral, among others – allowing for a range of jewelry that includes warm earthy tones, cool blues, energizing greens and passionate reds. This line of jewelry is a perfect match for the modern woman in an international context. We learn something new everyday: courtesy of working on so many different subjects and talking to so many people! We believe we’re making a difference: we cover issues not often discussed in mainstream Indian media such as the loss of a child or a mother talking about acceptance of her son’s sexuality. We get to read fan mail: Just kidding, but we do get such lovely e-mails from our readers on the difference Women’s Web has made to their lives. We are inspired: by the several wonderful women (and men) we come across through Women’s Web. Be it social activists, entrepreneurs or all the other super-women we get to know, they inspire us to always aim higher. We find joy: with every new ‘Like’ on Facebook, every new follower on Twitter, every new comment and every new user registration. As a modest start-up, every small step forward gets us smiling. Tell us (in the comments section below) any one article on Women’s Web that you really liked – that touched you or left you laughing – or thinking – or crying. Let us know which one it was, along with a link to it, so other readers can read your favourite too. About GWYNETH: Stunning semi-circle Mariam stone is set in a polished silver-tone circular background to create these strikingly handsome dangling earrings. Shepherd’s hook posts make them as easy to wear as they are stylish and elegant. Whether you’re shopping for yourself, or treating a special lady to a luxuriously indulgent gift, these beautiful Mariam stone, polished silver tone earrings are a sure winner. Two other commenters (also selected at random) will receive a Women’s Web coffee mug. (Note: The Gwyneth silver earrings can be shipped worldwide, but coffee mugs will only be sent to a valid address in India). Giveaway closes on April 21st 2012 9 AM IST. And finally – we’d like to thank each and every one who has been with us on this journey – our readers, writers, advisors, event partners, advertisers, our tech team – every single one of you has made a difference to how Women’s Web has shaped up, and we hope you’ll continue to stay with us! UPDATE: Giveaway closed. Thank you all for your lovely comments and wishes. We are glad to see that Women’s Web is making a positive impact in all your lives. And now time for the winners! 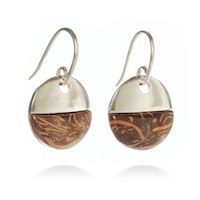 Lavs is the winner of a beautiful pair of silver earrings from Cleosara! Congrats! Sutanuka Banerjee and Unmana each win a Women’s Web coffee mug! Congrats! Please send your contact details to admin@womensweb.in and we will send along your prizes. Thanks all for participating! First of all,I would like to congratulate women’s web for completing 2 years.Hope you celebrate many more anniversaries. I liked this because it is very useful.It gives knowledge about why anger management is essential to have peaceful emotional wellbeing.Today everybody is busy with their work,they do not have time to understand and analyse the problems of life.When they face any problem ,they get irritated and react angrily.There is an urgent need for anger management whether it is through therapy or meditation,etc.In present times we see many cases of road rage.This is no other than an outcome of uncontrolled anger.People are ready to take out there anger whenever they can.Everybody must understand that anger is very harmful for our relationships.On the women.s web when i read this article i felt that there are lots of disadvantages of anger.We must try to manage our emotions.Through this article i could get an insight into my thoughts and i could analyse my feelings.This is really a very touching and great article,i hope everybody reads it and follow some useful steps which are mentioned in the article.Thanks for this helpful article. because of the sheer emotions it conveys. There are so many Damodars in our society, leading a double life.. and so many ‘maya’s’ who fail to see the manipulation. WW is an awesome effort. Very inspiring and empowering. Congratulations on your second anniversary and wish you many more successful years. Here are two of my favorites. you made a website for us, made us think about the things from all angles, gave a voice to our thought, a platform to learn, share. i love your articles as almost all have deeper meanings and touch my heart, moreover they inspire me, give me courage to fight back. writing poems take my pain away, i right all my feelings in form of poems and hope someday the poems will take all my pain away . Two whole years of celebrating being a woman – wow! With Women’s Web and the delightful stories here, pertaining to all of life’s little aspects – being a Mom, bonding with a partner, the work place dynamics and the like – the journey has been amazing. Congratulations and I hope the shadows never grow less! If I have to pick just one story as my favourite piece here, it would be A Son Like Krishna. When it comes to alternate sexuality, irrespective of the number of laws and morchas we take out, there is a lot of apprehension. Dread, doubt, pain. What does a son, all of fifteen, know about sexuality? Too much media influence, several say. The son is even told to eventually marry, well, ‘normally’ and carry on with his preferences in the closet. Really? When we do not accept extra-marital affairs when straight people are involved, why is it okay for others? Does it not amount to cheating as well? Sudha Santhanam has talked about the issue brilliantly, with a detached yet involved viewpoint. It set me thinking about just how certain societal norms first lay the seeds for trouble and then repent it when they fruit. since childhood i never understood why women have miss and mrs and men only mr ? when i used to write any application where i had to write my parents name i often asked my teachers why a women after marriage become mrs and a men is still a mr? and why only a women’s surname get change? and than i read this article and felt so connected, it made me understood that since long time men have made the rules of society and they are still followed. and i think this should get abolished- feel like you getting tagged or labeled. unlike men- who dont have to wear a mangalsutra for telling people that he is married. and i agree that a women can call herself anything ms or mrs even in the divorced case and nobody should be bothered. as we dont ask men are you a unmarried mr or married mr? this both articles also show the truth we often dont notice. .. I have heard a lot about this happening and experienced it too. We are two daughters to my parents and I too gave birth to a girl. I wouldn’t mind having another girl baby too. “ Let us wish an expectant mother – ‘May you have a safe delivery and a healthy baby.’ She carries a little spark called life within her.” is my favorite line. Hearty Congratulations Team- wishing you a whole lot of milestones and cheers to you for bringing about awareness, tapping talents,imparting wisdom and above all celebrating woman- KUDOS ! There are so many articles that has truly made my day but what immediately comes to my mind is the one on Differently abled Parents – a thought provoking article so em-pathetically put in to words. Besides that sunilias’s article is a must-read – heartwarming and truly inspiring ! Congratulations of completing 2 years. The site gives serves as platform , a place where we fill the paper with the breathing of our hearts.. Both the post reveals the reality prevailing in the Indian society. Congratulations on completing 2 years. The site serves as a platform, a place where we fill the paper with the breathing of our hearts.. Both posts reveals the reality prevailing in the Indian society. I happened to stumble upon Women’s Web accidentally and what an amazing discovery it has been! Congratulations to the Team on turning 2 and having read what I have on this website in just about a month, I am convinced, it is making a difference. I believe ‘Awareness of the mind’ is most crucial to growth and development and Women’s Web is doing just that; making us more aware, It is both enlightening and empowering to read experiences and opinions on Women’s Web. for a number of reasons. Firstly, because it is written by a father. We see women coming out talking about parenthood, raising children and the accompanied feelings of turmoil and triumph, often. Dads go through all of that too but rarely do we see them putting it down on paper! The article itself is so very uplifting and relevant to today’s women whose roles go beyond what they are “supposed” to do. I would love to see more fathers coming up with thoughts like these and bring about the much needed change in the son-craving Indian society and mind you I have nothing against the sons, just want the daughters to get their long awaited due. I couldn’t have liked any other article.! This being the best post of all.! Not every day and not every father can write like this, and that too on a public forum.! The grits that went into giving such an upbringing to his daughters make this father very very special in my eyes.! The choice to go for a career and the second choice “to get married or not” or select a partner as per her wishes.! We haven’t grown up to that lucrative level of thought to allow our daughters freedom of mind and expression in thoughts.! But maybe we haven’t still come out of our cocoons that are very much choking the newer generation. We still live in nation where the daughters marriages are planned in advance well before their graduation or post graduation.! Doesn’t make sense any which way.! We can be good humans first every thing else can come later.! This theory of “marriageable age”, marriage and every other concept associated with weighing our worth to our wombs and our roles as wives and mothers are things that are so humanely illogical.! This lovely Indian father has raised his daughters well and set a perfect example of how education should make us good humans first, the need for the blindfolds of hypocrisy to be taken off.! This being the best post of all.! Not every day and not every father can write like this, and that too on a public forum.! The grits that went into giving such an upbringing to his daughters make this father very very special in my eyes.! The choice to go for a career and the second choice “to get married or not” or select a partner as per her wishes.! We haven’t grown up to that lucrative level of thought to allow our daughters freedom of mind and expression in thoughts.! But maybe we haven’t still come out of our cocoons that are very much choking the newer generation and especially girls. We still live in a nation where the daughter’s marriage is planned in advance well before her pathway to graduation or post graduation.! Doesn’t make sense any or which way.! A perfect example of gender sensitization.! A very rare one.! After reading this article I too felt that this is my role exactly in my son’s life, something to which I connected spiritually and emotionally. Thanks for the article : I am but a Band-aid to my son and will continue to be. i like the following post as i like RM’s blog a lot.. Happy Birthday Women’s Web, The magazine has bonded like a school’s best friend, no pretense, as if the confidential thoughts/issues are being discussed with a like minded person.With the passion and consistent effort, WW would reach new heights…Amen. One women zine which doesn’t get stale and is different from the regular ones where women supposedly trying to shed their minds along with weight. I found “A Little Girl Who Grows Up To Be A Friend” story poignant and could resonate with it a lot. Being one of the two daughters of my parents, and a mother of twin daughters, I have encountered being the victim of receiving pity on just being a daughter and a mother of twin daughters. I pity those handicap people and a proud feminist and a lucky mother with twin daughters as God’s own Jackpot. The last line in the story “if I do anything for you, is just to say thank you. Don’t deny me that privilege.” is every daughter’s wish and brought tears in my eyes. Second Choice is “Why Mothers Can’t Grow Bonsai Trees” (http://www.womensweb.in/articles/mothers-grow-bonsai-trees/). This story showcases the inherent quality of the ultimate creator…Janani …who can’t starve , so growing Bonsai is not their forte. The mother tried hard to malnourish the plant, but who doesn’t empower their children to reach to their highest potential, to nurture is not a true mother. An ode to all mothers, in a different style and metaphor. A sensitive and humorous too.Enjoyed it truly. I’ve come here to give another vote for “A Little Girl Who Grows Up To Be A Friend” (http://www.womensweb.in/2012/03/indian-daughter-grows-friend/). Loved reading that. The article was endearing and informative at the same time. I always thought i was bold in my parenting decisions. But this article proved how little i knew. Bringing such taboo topics into limelight and enlightening us is what makes WW so special. First of all congratulations to women’s web on turning 2! It has given voice to so many realities in our lives. It feels good to read up the articles which I can connect so much to from my own experiences. I hope to contribute and be part of it someday. It is really difficult to choose a single article which stands above all. But since we need to make a preference, there is one article I would recommend to all the readers and that is the little fairy tale of love and faith. I remember the day I read it. It filled me with freshness and vigour taking me back to childhood days , those carefree and fun-filled days when everything was possible. With so many things to take care of and think about in our daily lives, this articles offered a refreshing read taking us to the world of imagination or who knows such positive thoughts can actually turn those imaginations into the realities of our own lives. Congratulations to all the winners.! WW where is our share of the cake.? Kidding yaaah.! Have a great time and keep up the good work. !